Sides: Potato Salad, Cole Slaw, Baked Beans. Carry Outs Only. Baked Goods also available. 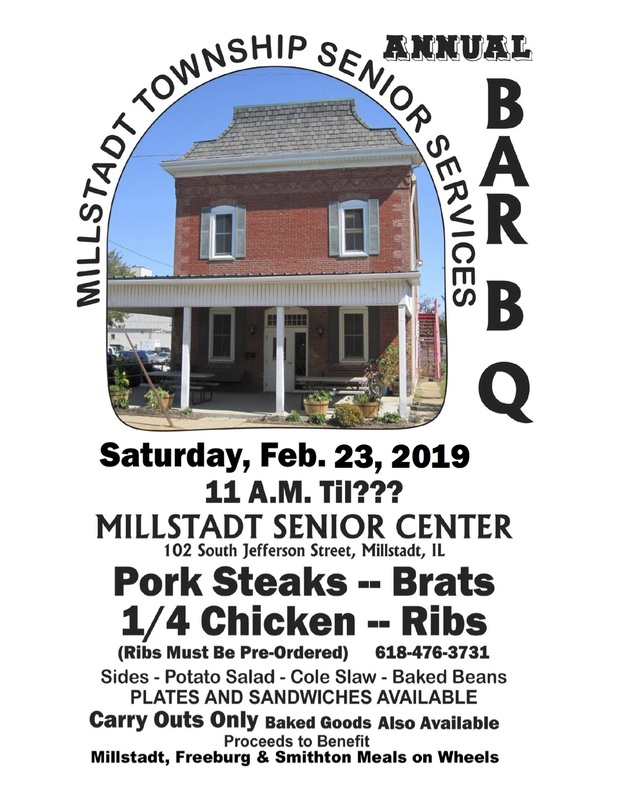 Millstadt, Freeburg & Smithton Meals on Wheels.